At the recent PGA Show, Srixon unveiled their new Tour-level golf balls, the sixth generation Z-STAR and Z-STAR XV. Matt shared his thoughts on them HERE, and now it’s your turn! 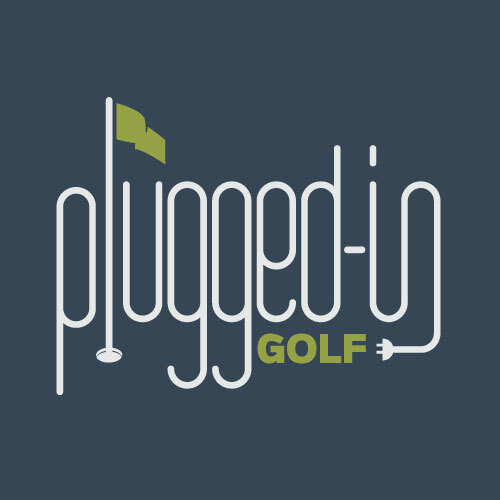 Ten Plugged In Golf readers will each receive a dozen Z-STAR golf balls and a dozen Z-STAR XVs. Want to be one of them? Want to let the PIG community know what you think? The details for entry are below. Step 1: Post a comment. Your comment must include: your name, location, and handicap. That’s it! On Friday, February 8, we will contact ten golfers via email, so keep an eye on your inbox. The ten winners will be expected to test the Z-STAR golf balls and fill out a short questionnaire about how they performed. Those answers will be shared on PluggedInGolf.com. The balls are yours to keep. If your entry does not include the required information, you will not be entered. Always played Pro V1, would love to try something new and test these! Brian Valdez, Long Beach, CA, 12 cap. would love to test these, Live in New Jersey, handicap 5. Current ZStar player, therefore would love the opportunity to test the new versions of the ball. While I live in Chicago, I’m a crazy golf die-hard (most would say idiot), so I’ll be back on the course the first chance I can get. Thanks for the opportunity. Excited to try the new Z-Star. Gonna have to be so good to better this past year’s. Would def like to try these out! Alex Bonham, Tampa, FL, index of 3.8 (Gotta pay the fee though to get it back up for the year, kinda slacking on that one lol). Played the 2015/16? XV model last round for shizzles and giggles so this could be fun! I’d definitely like to try these golf balls. We never have an off-season. Play Q-star Tour and would love to compare them. Tucson, AZ, Handicap 18, Love Srixon balls! Would really enjoy comparing these two balls, not only within the Srixon family, but against Taylormade and Titleist. 1926 Churchill Downs the bag and to the course!! Long time pro v-er here, but would love the chance to test a new ball in the frigid north…. Hope these spin a little less off the longer irons than previous versions. I’ve been sent golfballs in the past to test it a cool thing to do. I am a 70 year old male golfer that currently plays about 2 times a week in the spring, summer, and fall. I play with a group of 6-8 friends of similar ability. My handicap is 16 and the group’s ranges from 10 to 28. I currently use a very low compression ball because of a swing speed of 72-78. Distance is critical because the drive must be long enough to leave a controllable distance for the approach shot. Looking forward to trying out the new 2019 Srixon Z-Star. Have used Srixon golf balls for years. Would love to compare your new products. Heading to Charleston for March and would love to test these balls. Is it possible to get them in yellow? Having a “boys weekend” on St. Patrick’s Day and would love to share the bounty with 11 other knuckleheads. People at Roger Dunn told me these are great to play. I’d like to give them a try. Currently playing Pro V1. Love to try out these new balls in England, Derby. Playing Callaways now, I would love to try these to see the difference in my game. Playing the ZStar for years has always been a great ball. Would love to test the new balls. Grady Dickens, Irving, TX, handicap 2. I have been playing the Srixon Q-Star Tour, a very impressive ball for those of us with a 90 mph swing speed, and well worth the $30/dozen price. I would very much like to test, and write about the results with, the upscale Z-Star Balls. How much better are the Z-Stars than the Q-Star Tours? My friend seems to think I get more distance with z star. I’m keen to test these against the competition as the feel and control are excellent! Would love the opportunity to try these and give you candid feedback. Play aprox 100 rounds a year and love to experiment with new equipment. Very interested in knowing the effect one ball over another on my game. Is there really a difference? I play a Srixon Ball, so this would give me and Srixon a fair comparison ofd their new “ZX-Star” compared to their former one…….I am a 14 handicapper @ age 76, and play 40-50 rounds per year here in Virginia. I would love to try the Srixon golf balls! I currently have a 6.1 handicap index. Would love to compare these to my current ball (Brigestone B330). I play the Bridgestone E6 speed, have been play Bridgestone E series Golf balls for years. I play with a PGA pro once a week. I used Srixon balls in the past and would like to test the new ball. I play the Pro V1x, but I have found a few of these over the last couple of years and played them and have scored low with them. I would seriously consider a change. I play Chromesoft but would love to test the new Srixon to compare performance. The first golf ball I ever bought was a Srixon ball, many years ago. Would love to test out the new versions. 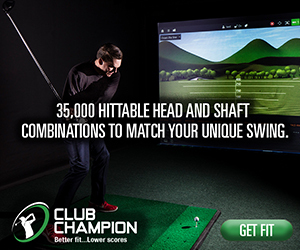 Testing golf balls and equipment by average golfers?Great idea! I have played Srixon’s on and off for years. The new balls look and sound appealing. Would love to give the Z stars a try. Would like to give these a try to see if they are better than a ProV 1. I play the Q-StarTour. I am very inpressed with the feel, distance and spin around the greens. I have played ProV for years and really like to see how the new balls could possibly be better. Tavares, Fl handicap 12. I would love to test these golf balls , I currently play Srixon irons and hybrids so it would be a nice match to test. Dan Jondal, Tucson, AZ, 14 handicap. Always trying new balls. I’d love to test the new Z-STAR ball. Currently play the Q-Star Tour ball. Always wondered if the Z-Star would perform any better. Thank you for the opportunity. I work at a golf store and was won over to the Chrome soft in 2017 and have played it almost exclusively. However, many players ask about the Srixon line and I would love to give a first hand comparison rather than the back of the box description. Thanks. My name is Zeke. I live in NW Illinois. I am 67 yrs old with a 6 handicap. I don’t know the time frame for this test but if it is going to extend into April, I would be happy to offer my thoughts on the 2 balls. Würde gerne die NEUEN Bälle testen. I love to practice as well as play and I’ll give them the test they need. I play the Srixon QStar Tours, I like the ball switched from the Chrome soft, swing speed 89. The ball fits my swing speed, wishing manufacturers would tell the consumers which ball conforms to their swing speed on the back of the box! 9 index Goodyear arizona! Love Srixon! I’m sorry I forgot to add my handicap, which is 12. Usually play TP5’s. Will have to wait until April/May to test them – got 8-foot snowbanks right now. Index 9.4, Would love to try these New Srixons out, after reading your review. I typically play Taylormade TP5x or Titleist Pro V1X golf balls so I would enjoy the opportunity to compare the Srixon Z-STAR & Z-STAR XV balls to the Taylormades and Titleists. I wouldn’t mind giving these a whirl. Always looking for an opportunity to try a new ball out. Planning to play MTB Tour Black this year. Would love to see how these balls fit my game. I’ve tried almost all the golf balls out there . Would love to try the latest Z star xz and see the difference. Have read a lot about these balls and would love to try one of them out. Would love to test – Thank you! Have always played Titleist. If there’s a better ball out there, I’m all for trying it. I play proV1 & Vice golf balls & would love to try the Srixon ball. I am 76 – HCP 7.3 -play approx 185 games a year. Would like to see how these perform with those of us with normal SS, 90’s. I have played the Q-Star ball before and liked its performance. However I have switched back and forth between the TP5 and ProV1 recently with even a short trial of Bridgestone. I have not yet tried the new Z-Star ball and would like to try Srixon again to compare with the TP5 and ProV1. I have been primarily a Bridgestone player. I would love to try the Srixon premium ball. I would love to try these Srixon Z-STAR golf ball. Play Pro V because I like the the way I can stop ball on green. Been looking for a quality ball with a reasonable price. Pumped to save some money without sacrificing performance! Officially ball neurotic! Got it in my head that there’s a ball for every weather/temp./playing condition… and that the ball will help me out there! Usually fall back on ProV1… sometimes ProV1x, Taylormade, Callaway, Snell, Srixon, Bridgestone… U know the drill! My little dimpled harem! Would love to hit the new ones to find the condition in which they would come to my rescue!! …or not!?! 5 handicap…? It’s winter still! Currently play TaylorMade or Titleist balls. Would be my pleasure to test what Srixon has to offer. I’m happy to try.Prescott AZ . 11.3 index. Mike McFerron I’m a fan of Srixon products. Would love to be the lucky guinea pig! I would like to be consider to test the Z-STAR golf balls, I currently play Bridgestone. Wayne w.benson jr 15095 W. Fillmore st goodyear AZ 85338 Nine index! I would like to try the Srixons. I would give a sleeve to each player of a foursome . All different handicaps in group. Thus we could compare the balls tee to green and get 4 evaluations of the Srixons. playing pro v1x and calloway chromesoft, would like to see how these stack up. Located in the Danbury Ct area, currently a 16.7 hcp. I would love to compare these with my current ball, the Pro V1X. Would love to try Srixon’s new golf balls. My handicap is 22, I am getting older and my drives are not what they used to be. Need help in getting some distance back. Would love these as I am retired and on fixed income. I would enjoy testing the golf balls. Guys, thanks for the chance to test these out. Always looking for something to improve my game that doesn’t involve a swing change! Would enjoy testing the new versions of Srixon Z Star balls! Have played Srixon Q Star Tour a couple years ago and liked them. I’ve played with a sleeve of the Soft Feel and liked them. Usually play Titleist. Handicap 16. Would enjoy trying the new ball. I’d love to try them out. Would love to test. Currently playing Tour Soft. Would love to try the Z Star and thanks for this chance. More than happy to provide a comprehensive report if I am successful. I have read the Plugged-in review on your new Srixon golf ball and it is very interesting, I would love the opportunity to test them. Would love to try the new Srixon-Z-Star. My handicap is 14. Would love to try the new Srixon-Z-Star balls. Thanks Jeff Stewart Handicap 14 West Chester, Pa. 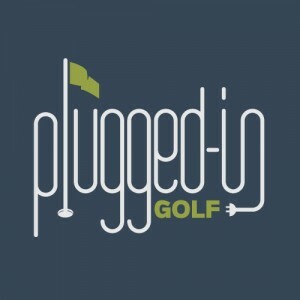 I love Plugged in Golf! It’s up to the minute information and product reviews are excellent for people on the move who want to know what’s new out there that can lower their handicap! I’ve only been playing for two years so I’m still looking for my ideal ball. I’d love to try yours. Getting older and could use some extra distance while still having good feel. Would love to try the new balls and provide a report. Would love to try these. Compare them to the Pro V1. Playes Srixon 2 years ago and loved them. Last year not as much. billy malooly 302 Kossuth ave wesley I.A 50483 0-3 handicap. Joseph lopiccolo. 8 handicap New Orleans La. Currently playing prov1 looking for a comparable new ball hopefully Srixon has it. Love to try these balls. ; ( Zane. Howard. PO Box 5238. Wodonga Plaza, Vic, 3690. ) My Handicap is 20.7 and I play my golf at Thurgoona Golf Club and Beechworth Golf Club so I would be able to try these balls on both Grass And Sand Greens. Currently play a competitor’s ball, would love to try these! Currently use previous years Zstar XV. I have played Srixon in the past. I am currently playing pro vs.
Am trying TP5X, and always looking for that “perfect” ball. Am trying TP5X right now, but always looking for that “perfect” ball. I play the Srixon softfeel currently. They’re really a great ball. I would really enjoy testing these balls. I’ve got a mixture of Srixon balls I play. I will admit I play Pro V1 balls. I would be interested to see how the Srixon X-Star compared to a Pro-v1 in a true comparisons. I’m always looking for the better/best feel ball that I can feel absolutely confident with at address. Played Srixon Z-Star with the high visibility yellow covers for a few years. I recently started playing the Titleist AVX because I like the softer feel and they also came in a high vis yellow. I played the Pro V and ProV1x exclusively for years. Looking down on those Titleist markings just gives me a deep feeling of comfort. I go back to them when I need to reset my game. I’ve experimented with Callaway Chrome Soft, Bridgestone B330 Rx and Wilson Pro Urethane, but never felt fully confident with them. I may give the Taylor Made TP5 a try. I have been playing Srixon irons and utility irons for the last three seasons which I can’t say enough good things about, so matching up all with clubs would be a plus.